No sooner had I posted a piece about how humbling is the experience of being a beginner in a new field, in my case taking a hot glass class, when a new opportunity to show how little I knew popped up. Yesterday I sat down with about ten other people, mostly Issei and Nisei (first- and second-generation Japanese Americans, respectively) positioned a borrowed soprano ukulele under one arm, and tried to make my fingers land on the right spots to strum a C7 chord and an F major chord and a few others for the purpose of playing “Tiny Bubbles” and a few other simple, but awful songs. One of the side effects of glass blowing was pain in my shoulders from pulling heavy blobs of molten material out of the furnace and twirling them on a metal pole. A side effect of playing the ukulele is deep dents in my fingers from holding the strings down. The volunteer teaching the class warned us that building calluses was the first step in overcoming the pain. I forgot to ask how long that might take and whether having fingertips with no feeling was a desirable goal. 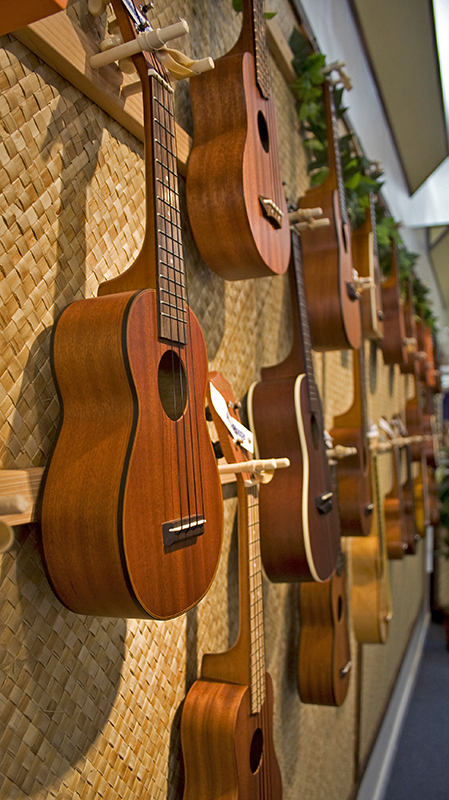 I’m determined to master the basics in time for New Year’s 2013 when the ukulele band will have its first performance. I never played in school orchestras or bands and I love the idea of making music in a large group, where good playing on the part of others will cover up any mistakes I make. There’s no way my voice would be welcome in the choir, but just maybe I can become proficient at “Tiny Bubbles,” which I may have to drink before and after our performance. This entry was posted in humor and tagged playing music with friends; New Year's Eve;, ukelele. Bookmark the permalink. I would think with all those words you’ve written the last few months your fingers would already have been toughened up!